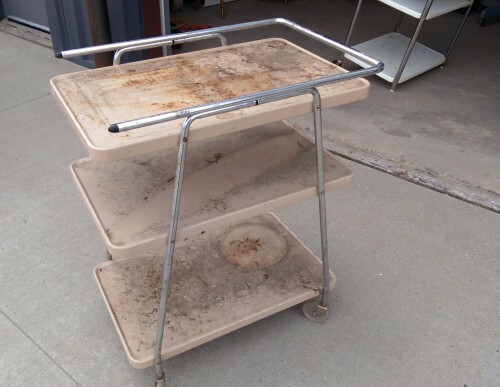 We salvaged a number of vintage metal rolling carts, also known as kitchen carts, utility carts, bar carts, etc. And by “salvaging” I mean they were in atrocious conditions… Rusting, covered in funky old contact paper, missing the rolling wheels, etc., they sure were “fixer uppers” for junkers like us. But, after lots of elbow grease, sanding, and spray painting, look how fabulous these two look! 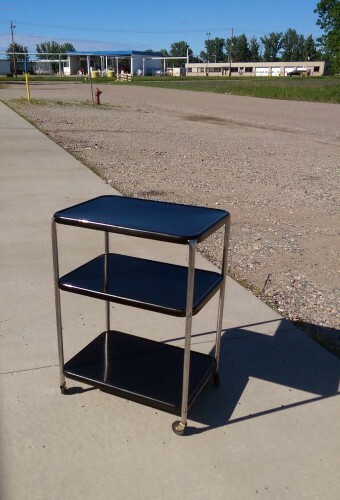 The super space-age mid-century modern design begged for some red paint to go with that fancy chrome! 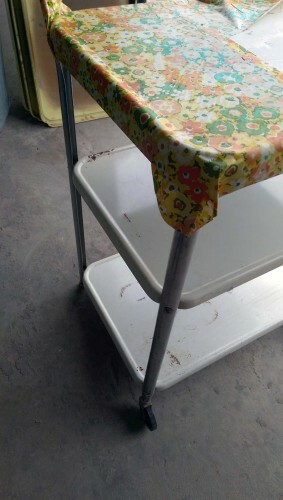 Next to the cart is an vintage industrial paper towel holder that we spiffed up to match. 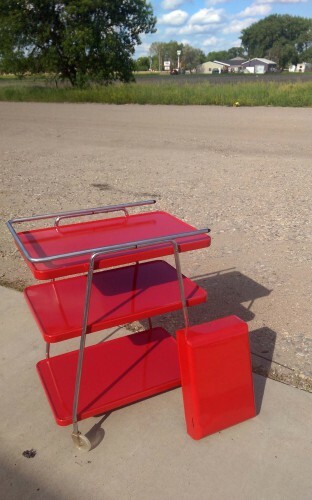 Because what racy red bar cart doesn’t risk some spills? These pieces, and more, will be brought to this weekend’s Elkhorn Antique Flea Market in Wisconsin, where we expect they will go quickly!